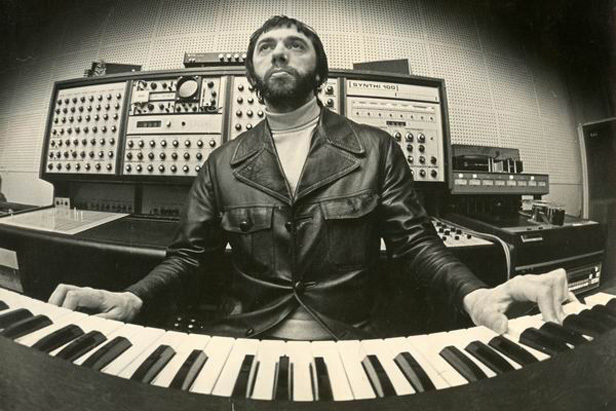 Edward Artemiev (born November 30, 1937) is a composer whose name for many people is associated with electronic music. With unusual soundings, easily discernible in the present-day sound environment by their abundance of nuances and unaccountable acoustic comfort. With a peculiar world of imagery, sense of space so striking for the mind. A wide variety of views on Artemiev's music is pronounced, dealing with its different aspects such as technical - "it's impossible to understand the way it's done", esthetical - "it's infinitely beautiful", and spiritual sides - "an encounter with the truth". His avant-garde compositions written in the 60s-the early 70s, was used in films of Andrei Tarkovsky. The unordinary tasks set by the director required similar creative efforts on the part of the composer. Writing the music to "Solaris", "The Mirror", "Stalker" resulted in serious experiments in electronics and the specific sphere of audio-video contact. With a promise of the achievement to come for both artists already evident in "Solaris ", in 1972, it was with "Mirror " and "Stalker " that these two young Russians attained the highest level of mastery. In creative communion much depends upon Artemiev's individuality as a composer. That was the way he collaborated with Nikita Mikhalkov when working on all the films. It goes without saying that his richly evocative score contributed in no small measure to the success of Russian director Nikita Mikhalkov's "Burnt by the Sun" including this year's Academy Award for Best Foreign Language Film. But Oscar glory is only the tip of the iceberg in a musical career that spans several decades and includes longtime collaborations with Nikita Mikhalkov (their first film was "At Home Among Strangers", in 1974, followed by the hauntingly beautiful "Slave of Love" a year later) and his elder brother Andrei Mikhalkov-Konchalovsky, for whose "Siberiada" Artemiev also created the soundtrack.